Join us this year at THE CIRCUS - HOPE CHURCH SUMMER FUN! 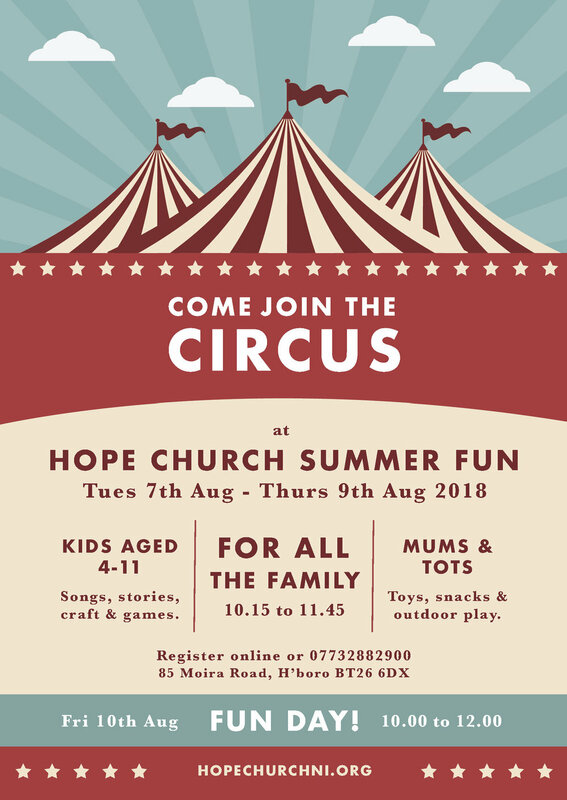 By filling out your details you consent for your child to attend 'The Circus - Hope Church Summer Fun' and engage in the activities and the program (unless otherwise stated) in the care of the volunteers. The details you give will only be used for registration of this event and for emergency contact details while your child is attending. We will keep your details for internal record and review of the attendance of the event. We will not take any images of your child without your consent.